According to news reports, CeaseFire PA is pledging to have 250 anti-gun activists in Harrisburg tomorrow to demand more gun control. Unfortunately, it doesn’t look like we’ll be able to make it to verify their numbers & oppose their messages to lawmakers in person, but I’d love it if anyone who does go to check out the circus would shoot some photos over to us to see how it compares to the press promises. If any Pennsylvania gun owners haven’t contacted their state lawmakers yet with a general message to oppose new gun control, might I suggest tonight or tomorrow morning as an absolutely fantastic time to email, call, or fax your state representative and senator? Guess they didn’t want to be outnumbered last Saturday? Well, and in the spring. There’s an annual pro-gun rally that consistently turns up anywhere from a couple of hundred to several hundred later in the spring. They won’t dare be around for that because they don’t want the visual out there. We had between 700 and 1000 in Virginia yesterday. Not an anti-gun person to be found. I’ll post some pictures… hoping the turn out on the 2A side isn’t affected too negatively by the weather. Or, here’s to hoping that cease-fire didn’t invest in base layers, hand warmers, and insulated boots. It’s 6 degrees this morning in NJ. I don’t think too many gun grabbers are going to stand outside for long tomorrow morning. Of course not! That’s why they held theirs inside, but we remained strong and held ours outside. Point of pride and determination really. I just need to comment, FWIW, that when I used to be in the capitol in Harrisburg somewhat frequently, it seemed more than half the days I was there, there would be some sort of canned “rally” going on, usually with about 100 to 300 people. (I wonder if there is somewhere you can check the capitol event schedule online?) All of the rallies would involve typically 3 – 6 legislators turning up to greet them and posture. The point of my story is, I don’t think 250 people turning up for a planned rally is going to impress legislators one way or another. Ceasefire is planning a non-event, that will probably be more useful for fundraising (“Look what we did”) than for political impact. I wouldn’t dismiss it too lightly, or course, but neither would I get too bent out of shape if they pull it off. I forgot to add, pay attention to what Bitter said: Making staffers sweat stuffing envelopes replying to your messages will do far more to impress the inhabitants of the capitol than will seeing the same kind of public posturing they’ve already seen a half-dozen times this month. That must be why a number of legislators are scheduled to speak at the rally. The fact that they don’t care is also why some additional legislators have SPONSORED our space INSIDE the rotunda. And they care so little that my representative has scheduled time to me meet with me tomorrow, during the rally. Right, not sure why that wasn’t mentioned in the original post. The counter rally has been in the works for awhile. I’ve heard it reported that we have at least 300 members, probably more. The cold weather may complicate things. Do you think they want to hold their campaign event outside in the cold? Skullz, I don’t want to lecture you because I know it wouldn’t change your mind; and you have energy that we need, that I wouldn’t dare squelch. But, just tuck this in your bonnet while you hate me for saying it: Your friend the legislator now has you hooked far more than you have him, which is roughly, not at all. He has made you feel important. You will need to contemplate for yourself how much he will use that to control you. And OF COURSE hacks are going to schedule themselves to campaign in front of small crowds. My congressman often comes into the place where I eat breakfast, and never misses the chance to be seen and shake a half-dozen hands. Sorry, but you don’t know what you are talking about. We had 5 legislators brave the bitter cold with us to give their speeches- and they were damn fine speeches. Where did the Mayor of Harrisburg and the other anti-gunners give their speeches? Inside in a nice cozy space. And what did our legislators sponsor inside? TWO whole tables- which really put NOBODY on the hook anybody for anything. It was a nice gesture- but it had no effect on our turn out. We had 250 outside FREEZING, some who drove for HOURS and expected to be outside for up to four hours. They had 250 inside, some eating their free meals, in a nice warm cozy place. In case you were wondering where pro 2nd Amendment Senator Bob Casey stands on the proposed gun bans/restrictions….despite his high rating from the NRA as a gun rights advocate, he supports the ‘assault rifle’ ban and the high capacity magazine (his email actually said clips, but I digress) ban. Let him know how you feel about that. I will resist vanity as much as I can, and not provide the links again, but recently I posted links to some columns at KeepAndBearArms.com regarding what happened when I questioned the Pennsylvania RKBA Establishment for endorsing Casey in the Democratic gubernatorial primary back in 2002 — which he lost. My county group declined to participate, and a long article informed everyone that I didn’t understand politics. Casey had a high rating from the NRA then, too. The better turn out was for the pro gun side this morning! Roughly 100+ showed up for the cease fire rally, mostly bused in from philly with the promise of a free ride, a free lunch, and a free shirt. While the pro-gun speakers focused on logical arguments and social issues, the cease fire folks stood on the graves of the Newtown kids and others, whipping up emotions but never putting forth any rational debate. What they failed to realize was that in every killing they brought up, the killers had already broken multiple laws! They refused to acknowledge the true underlying social issues that cause violence: gang involvement, fatherless households, and an overall disrespect for human life. Go figure…. The AP appears to be reporting pretty much the opposite! Yeah shocker! They are WAY off. The sides were equal. Even though many of us drove ourselves hours to get their, and they got bused in. Also, we stood in the Bitter (HAHA) cold for hours, they didn’t at all. We all need to stick together, we need to stop buying products from businesses that support anti-gun campaigns, we all buy things everyday from companies that send profits to anti-gun campaigns, we are all helping them take our rights away! when you go to a gas station and buy a snack cake from a certain company you may have just contributed to an anti-gun campaign without even knowing it, and they are laughing at us while the laws are changing in their favor, we all need to show these unconstitutional liberals that we will stand up to them, let them loose 30-40 percent of their profits and see if they dont change their tune! they wont be able to afford campaign money if we STOP buying from their companies…. 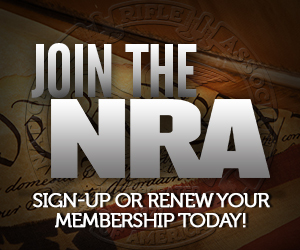 ask questions in every place you shop, if they do not support the 2nd amendment, they will not make a penny from us! we need to take our baby steps as they are ….we need to stand up and let it be known , we will have our demands too ! this will only work if we really do our research and start a ban of our own, this must happen in every state to get our point across, we really need to start helping each other and do this, its the only way to make an appearance and make us be heard in a way that would be devastating to their profits, and their campaigns! you can go to NRA site to see a list of businesses,actors,singers,etc. STOP BUYING FROM THEM, STOP BUYING THEIR MUSIC, STOP WATCHING THEIR MOVIES , STOP , STOP, STOP………..WE ARE HELPING THEM DO EXACTLY WHAT WE DONT WANT!